What do we mean when we talk about aging gracefully? I mean, most of us have a basic vision of it, but how do you achieve that exactly? To some people, it simply means making sure that our final years are good ones. For others, it means avoiding health issues like dementia, osteoporosis, sarcopenia, or basic immobility. For me, it means maintaining a basic level of fitness that allows me to continue to do the activities I love for as long as possible. And that means being aware of where mobility deficiencies are starting to creep in and, like a game of mobility whack-a-mole, swat them as they appear. It also means that I will never allow the thought “Well, I am X years old now, so what do I expect?” to win. 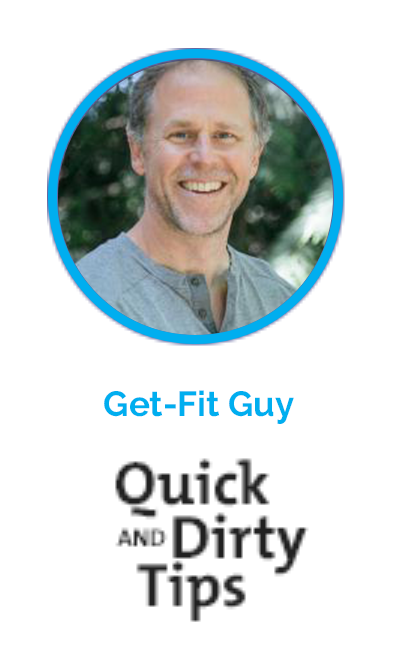 To discuss this idea of aging graceful in more detail, I asked my friend Brad Kearns to join me on the Get-Fit Guy podcast. Brad has managed to stay fit enough to recently set a Speedgolfing World Record some 20+ years after he retired from being a professional triathlete.